Tap into a decade and a half of experience in helping local businesses promote themselves to their local communities. In this free advertising guide we cover some of the key elements in making your advertising budget work for you. 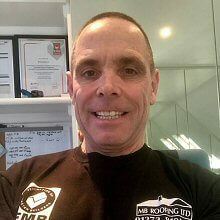 I’m Mike Bishop director owner of MB Roofing ltd in Brighton. We have been Advertising with Tim at Sussex magazines for many years now. We have found there service first class every step of the way. We are proud to be part of this great company’s expansion over the years and hope this continues in the same way they have help expand my company.